Andy Bliss is a solo artist, conductor, curator, and educator who maintains a dynamic career of musical collaboration. Residing in Knoxville, TN, his performances have been heard locally at the Tennessee Theatre and the Square Room, and abroad in locations such as the Darmstadt Summer Course for New Music (Germany), the Banff Centre for the Arts (Canada), the Patagonia Percussion Festival (Argentina), the LiveWire Festival in Baltimore, and Stanford’s Cantor Center for Visual Arts. His repertoire ranges from 20th-century masterworks by John Cage, Iannis Xenakis, and Steve Reich, to the performance and advocacy of contemporary composers such as John Luther Adams, David Lang, and Mark Applebaum. His passion for new music has propelled Andy to collaborate on new works with a wide range of today’s leading composers and musicians such as Christopher Adler, Christopher Burns, Evan Chapman, David Crowell, Nicholas Deyoe, Marc Mellits, Lewis Nielson, and Anna Thorvaldsdottir, among many others. Last season, Andy returned to Knoxville’s Big Ears Festival, revisiting John Luther Adams’ Four Thousand Holes with the nief-norf Project and performing Become Ocean with the Knoxville Symphony Orchestra; joined Atlanta’s Chamber Cartel for an evening-length performance of Iannis Xenakis’ Pleaides at the Goat Farm Arts Center; presented the Percussive Arts Society (PAS) International Convention’s New Literature Showcase Concert; appeared in solo recitals at the McCormick Marimba Festival in Tampa, FL and the statewide PAS Day of Percussion in Illinois; and collaborated in Lexington, KY with Dieter Hennings and an all-star cast on a performance of Pierre Boulez’s Le Marteau sans maître. In the 2016-17 season, Andy will perform on double tenors in Brooklyn’s Panorama with the Crossfire Steel Orchestra; curates the PASIC Focus Day “Celebrating the European Avant-Garde,” a 6-concert event over two days; performs Jennifer Higdon’s percussion concerto under the composer’s baton; conducts the Eastern United States premiere of Mark Applebaum’s Rabbit Hole; directs a performance of Michael Pisaro’s Hearing Metal 3; and performs the world premiere of Constellations by Christopher Burns, an evening-length work for solo percussion and multimedia, written for Bliss. Andy has made a practice of regularly working with younger composers, performers, and scholars, encouraging inquisitive modes of musical questioning and sustained collaboration with future generations. He is the Artistic Director of Nief-Norf, whose summer festival is now in its seventh year; there he performs, teaches, and conducts while curating a dozen concerts annually. The festival serves as a yearly contemporary music retreat, where more than fifty international participants enjoy an immersive environment of collaboration, experimentation, and support. Additionally, since 2011, Andy has served as the Director of Percussion Studies at the University of Tennessee, where he founded the Ensemble Knox (resident chamber percussion group), the UT Contemporary Music Ensemble, and the UT Contemporary Music Festival. 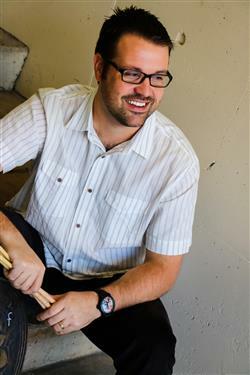 A devoted music educator, Andy has presented recitals, lectures, and masterclasses at the Northern Illinois University New Music Festival, Sewanee Summer Music Festival, National Conference on Percussion Pedagogy (NCPP), Association for Technology in Music Instruction’s (ATMI) National Conference, and the Midwest Band & Orchestra Clinic, and has held residencies at the Universities of Alabama, Arizona, Kentucky, South Carolina, and many others. He currently serves the Percussive Arts Society as a member of the New Music Research committee and is Past President of the PAS Tennessee Chapter. Bliss has served on the adjudication jury for both the Music for All National Percussion Festival and the PAS International Percussion Ensemble Competition, and his method book Multitudes (Innovative Percussion) is a widely used pedagogical resource nationally. As a member of the Knoxville community, Bliss spends two weeks annually touring his Steelband and Brazilian Ensemble to Knox County public schools, fusing live performance with cultural and historical community engagement. A native of Milan, IL, Andy’s percussion studies were mentored by James Campbell, Rich Holly, Robert Chappell, Orlando Cotto, Liam Teague, Cliff Alexis and the Madison Scouts Drum & Bugle Corps. He is proud to be a Yamaha Performing Artist and thanks Zildjian, Innovative Percussion, Evans, Black Swamp, and Meinl Percussion for their generous support and sponsorships. When not performing or with his students, Andy can be found consuming as much baseball as possible––either watching the Chicago Cubs on television, or playing a game of backyard catch with his wife Erin, and their son, Donovan.